The non-profit Saylor Foundation is teaming up with NASA to offer a free six-week online course in Space Systems Engineering. The massive open online course, or MOOC, begins Monday, March 3, 2014. As you may know, NASA has dramatically changed how it funds its education programs during this fiscal year and perhaps beyond. To avoid creating misinformation, NASA has largely decided to keep its detailed plans under wraps even to its many education partners, including its own mission education programs. We are all largely trying to maintain our programs as best we can given that money for continued education work, meetings, workshops and product development has mostly been eliminated during this academic year. Many programs are making ends meet by using last-years money frugally. That means some programs may still be able to support education work through the early part of 2014. 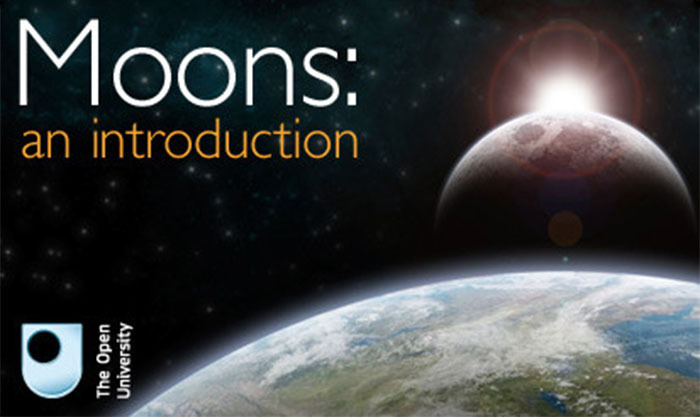 2014 will be a transition year for NASA’s science mission education efforts as you have come to know it, with dramatic changes in how or if you will receive classroom resources from the missions, participate in workshops etc. Last year, the Obama Administration proposed a sweeping change in NASA education programs, which called for most education efforts to be transferred to other agencies, such as the Department of Education and the Smithsonian Institution, with drastically decreased funding for education at NASA. ($94.2 million proposed for Fiscal Year 2014, spending, down from $136.1 million in FY2012 and $136.9 million estimated in FY2013.) The funding for NASA education programs was not transferred over, however, leading many to wonder if space education programs would simply disappear. Congress has opposed the transfer of NASA education programs to other agencies. During the Fiscal Year 2014 budget process, it finally settled on a figure of $116.6 million for NASA education: a cut of about $20 million, rather than $42 million, as originally proposed. This represents a 15% cut, rather than the 31% cut proposed by the Administration. Still, 15% represents a significant cut, given that NASA education is already down sharply from its high of $169.2 billion in FY2009. This represents a total drop of 31% in the last five years. Since all offices have certain irreducible overhead, the effect on NASA education programs will be even greater than what the numbers indicate. NASA leadership will have to formulate a new plan for how to deal with these cuts. The planning process will no doubt be complicated by the recently announced retirement of NASA Associate Administrator for Education Leland Melvin. In the meantime, communication is virtually nonexistent and the education community remains in the dark about what to expect. 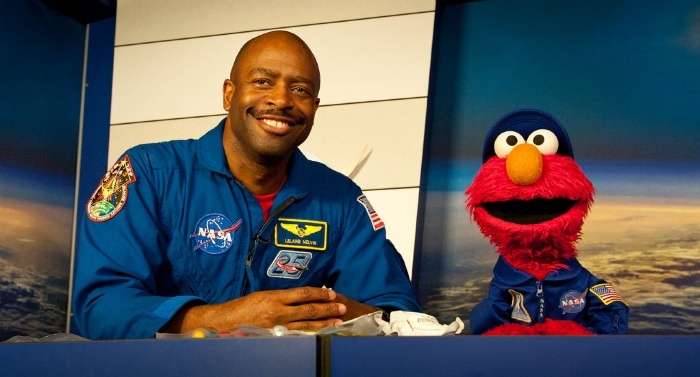 NASA Associate Administrator for Education Leland Melvin is leaving the agency. Melvin’s retirement was announced on January 16 by NASA Administrator Maj. Gen. Charles Bolden (USMC-ret.). “I am sorry to inform the NASA family that my good friend and our Associate Administrator for Education, Leland Melvin, has decided to retire next month after more than 24 years of NASA service,” General Bolden said. Melvin’s departure is the second high-level resignation in the last six months. NASA Deputy Administrator Lori Garver resigned last August. While there’s no reason to believe the two departures are related, it is apparent that General Bolden is losing his leadership team. His departure will no doubt complicate NASA education efforts to deal with a 15% FY2014 budget cut. Melvin was the first (and so far, only) former astronaut to head the NASA education office. His appointment was considered to be a symbol of the increased importance being placed on NASA education. That symbolism was not reflected in subsequent budget requests, however. The Chinese space program is all about public relations and scoring “firsts.” Yet, no one seems to ask if this claim is accurate. Make Magazine has announced Maker Camp 2013, 30 Days of Discovery, a free online “camp” based on the Google+ social-media platform. Maker Camp 2013 runs from July 8 to August 16. On Friday, NASA issued an internal memo suspending all education and public outreach activities, pending budget review. NASTAR Center and the NASTAR Foundation have announced an exciting series of one-day professional-development workshops for teachers this summer. All workshops, which are free for teachers, will take place at NASTAR Center, one of the world’s premiere commercial space training facilities. Last week, we attended the Conference for the Advancement of Science Teaching in San Antonio. During the three-day conference, hundreds of teachers visited our booth and signed up for our email list. We also had the chance to talk to many teachers about the way they are using space in the classroom. We talked to a number of teachers who had participated, or were participating, in the Student Spaceflight Experiments Program being run by the National Center for Earth and Space Science Education and NanoRacks. All of them were enthusiastic about the program. At the same time, however, they also talked about the challenge of fitting a student experiment into the small test-tube size payload volume. The teachers expressed a clear desire for larger payload volumes. We mentioned the CubeSat form factor (10 centimeters on a side), which they seemed to like. At the same time, of course, schools have limited financial resources. NanoRacks has done an admirable job of streamlining the process for flying educational payloads to the International Space Station, but launch costs are not under their control. By squeezing 15 payloads into a CubeSat volume, they’re able to keep costs down to $21,500 – a price that’s within reach of school fundraising and sponsorship programs. That includes both launch costs and Nanorack’s own expenses and overhead. It would be great if schools could fly a CubeSat-sized payload for $21,000, or even less, but that isn’t going to happen until launch costs go down. Before someone says, “Elon Musk is going to do that” – no, he isn’t. At least, not in the near term. Nanoracks is already flying on the Dragon capsule and paying SpaceX prices. Further cost reductions are necessary. The real answer, in the near term, is reusable suborbital spacecraft. The XCOR Lynx, for example, can easily accommodate a dozen CubeSat experiments with a payload operator. Without a payload operator, it could carry 100 or more. Based on XCOR’s initial retail price of $95,000 per flight, this means launch costs of a few hundred to a few thousand dollars per cube. Armadillo Aerospace, Masten Space Systems, and Virgin Galactic will be offering flights at similar price points. If the price of flying an experiment is reduced to the cost of a classroom microscope, space science could become a standard part of every high-school science curriculum. That would require streamlining the payload integration process as well as reducing launch costs. There will be a lot of work for payload integrators such as NanoRacks to do. Even orbital launch companies like SpaceX would benefit from a suborbital flight program for educational payloads. It would create an entry-level market for space experiments, some of which might grow into larger, orbital experiments. If you ask astronauts and former astronauts for their opinions on the future of space exploration, you will get a wide variety of answers. Indeed, one can fairly say that for every astronaut, there is an equal and opposite astronaut. 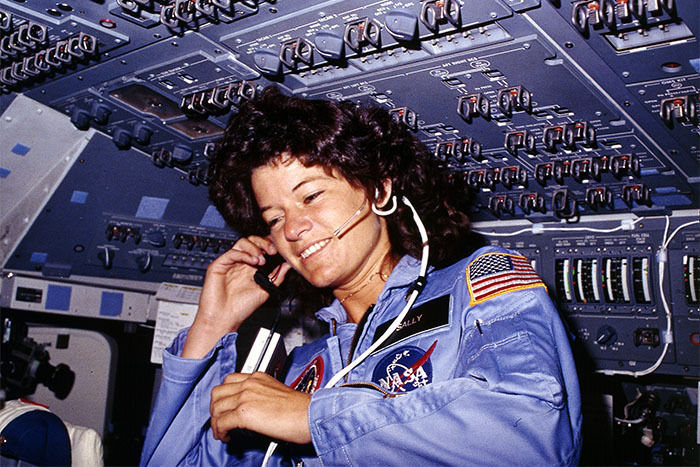 The late Dr. Sally Ride was a true American space pioneer. Unlike some astronauts, who fade away after leaving the astronaut corps, she has continued to make valuable contributions in areas ranging from space education to space policy. Her work on the Review of United States Human Space Flight Plans Committee showed keen insights. That’s not to say we always agreed with everything she said, however. Author Neal Stephenson, a founder of the dystopian school of science fiction known as cyberpunk, has had a change of heart. Stephenson now worries that the gloomy outlook he inspired may discourage students from studying science and engineering. During a lecture at the Massachusetts Institute of Technology, Stephenson said he is “trying to make a literary course correction” toward more optimistic fiction. We remember the time when science fiction was the literature of optimism, and we’ve been unhappy with the turn it’s taken in recent decades. So, we welcome this news. Stephenson is a friend of Amazon CEO Jeff Bezos. He helped Bezos found his rocket company Blue Origin, which must count as atonement (at least in part) for his literary sins. Perhaps his experiences at Blue Origin helped bring about his more optimistic change of heart. Perhaps Stephenson will talk to Bezos about being more open about the progress he’s making at Blue Origin. Working in complete secrecy might make it easier for Blue Origin to achieve some of its business goals, but a little more openness about their goals and accomplishments would help to inspire the next generation. Nanoracks LLC and the National Center for Earth and Space Science Education have announced a student experiment flight opportunity for April 2013. This opportunity is part of the Student Spaceflight Experiment Program, which enables educational groups to fly small experiments on the Nanoracks Mini-Laboratory payload carrier. SSEP is primarily geared toward primary and secondary schools (grades 5-12), but it is also open to community colleges, universities, and informational education centers. The baseline cost for a participating institution is $19,950. For that price, the institution receives access to one Mini-Lab Fluids Mixing Enclosure, a cylindrical tube 6.75 inches long with an outside diameter of 0.5 inches. This tube can be divided into one, two, or three sections containing solids or fluids to be mixed together on orbit. The program also includes a flight experiment design competition, run by the participating institution in cooperation with the National Center for Earth and Space Science Education, which exposes students to how real science is done. The National Center for Earth and Space Science Education will help participating institutions find sponsors to cover the cost of the experiment, and has been successful in most cases, but sponsorship is not guaranteed. 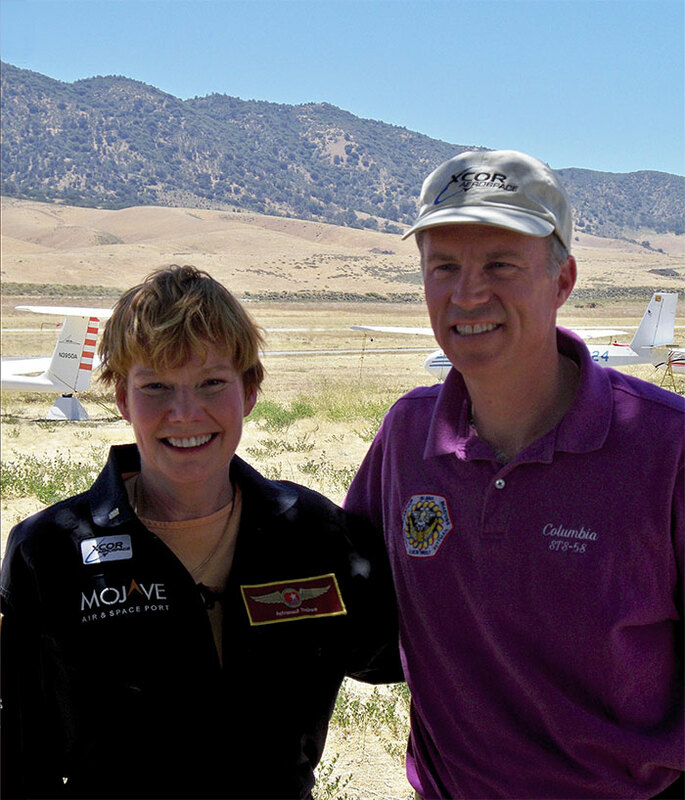 A funding commitment for the flight is required by September 12, 2012. SSEP payloads have already flown on the Space Shuttle (STS-134 and STS-135, the final flights of the Endeavour and Atlantis) and on the International Space Station. An SSEP payload containing 12 student experiments was part of of the cargo delivered to the International Space Station by the SpaceX Dragon capsule in May. Another SSEP payload with 12 students is scheduled to be delivered to the ISS on the next Dragon flight in September. For additional information, click. here. Cockpit360 puts you inside the virtual cockpits of more than 50 aircraft from the North American P-51 to the Boeing 747. The views are not simulated; underlying images come from leading aerospace museums (mostly in the Northwest). It would be nice to see future versions including some of the new spacecraft now being developed. 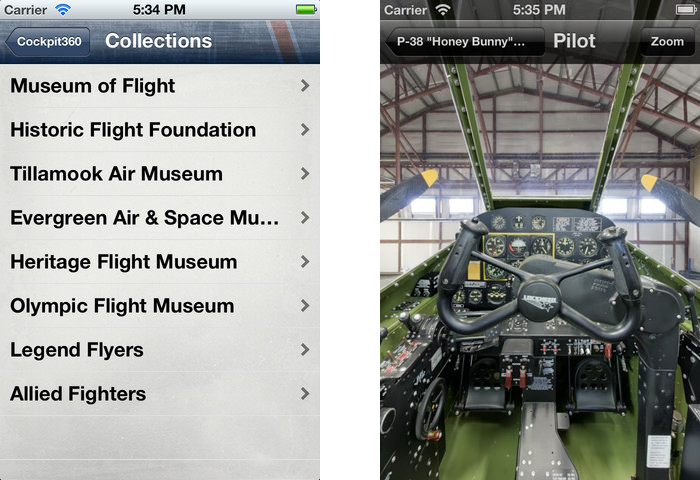 The iPhone app is a $5.99 download on the iTunes App Store. As we’ve said previously, we’re big fans of science fairs. Science fairs provide a rare opportunity for high-school students have to engage in true scientific research where the answer is a genuine unknown. The also provides an opportunity for top-level students to push the limits of academic achievement, going far beyond what classroom curriculum normally allows in this era of “No Child Left Behind” and “Teaching to the Test.” Science fairs have led universities to set up special programs where top-level competitors can gain access to university research labs, and tech companies are taking science fairs in new directions like the Google online science fair. Currently, however, there is no world-class science-fair competition focused that’s specifically on space. That is rather surprising, given the historical connection between the space program and science education, dating back to the Sputnik era. We’d like to change that. We’re proposing the Explore Space! competition – a world-class science fair for space. Science fairs are one of the best established venues for citizen science and a valuable tool for science education. Science fairs provide a rare opportunity for high-school students to conceptualize, perform, perform, and report genuine experimental science, rather than simply repeating textbook “experiments” (more accurately, demonstrations) where the answer is known beforehand. It’s surprising, therefore, that the space community hasn’t shown more interest in science fairs. Or maybe it isn’t. Last year, the leader of a “new space” advocacy group scornfully told us that science fairs were obsolete: No one’s interested anymore, and students never learn anything of value from science fairs anyway. Really? Not long after that, we picked up a magazine and read about Amy Chyao, a high-school sophomore from our home town of Plano, TX. Amy took first place at the Intel International Science Fair in San Jose. What was her winning project? She created semiconductor nanoparticles that kill cancer cells when exposed to specific wavelengths of light. Not bad in an era of No Child Gets Ahead — er, Left Behind. Science fairs are also taking new forms, like the online Google Science Fair. The Full Fuselage Trainer, which NASA used to train Shuttle astronauts for more than 30 years, is now on its way to the Museum of Flight in Seattle. The first component of the trainer to arrive, a Space Shuttle Main Engine mockup, was unveiled today, April 17, at the museum’s new Charles Simonyi Space Gallery. Museum of Flight president Doug King needed some help from museum employees and ladder to unwrap the artifact at an 11 am press conference. 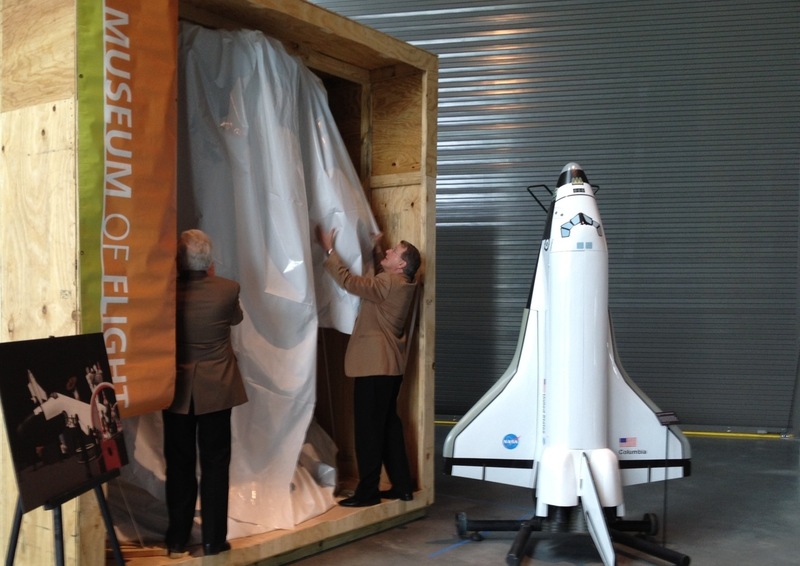 The Museum of Flight also received word today that other components of the full-scale Shuttle trainer are on the way. NASA’s Johnson Space Center in Houston sent word that the cockpit section has been lifted off its cradle and prepared for shipment. The Museum of Flight expects the main sections of the trainer to arrive on June 16. On that day, visitors to the museum will have the rare chance to see the arrival of a NASA Super Guppy aircraft, which will transport the exhibit. The museum hopes to have the Full Fuselage Trainer ready for display less than 24 hours after arrival, when the museum opens its doors on June 17 for Fathers Day. The Museum of Flight built the Charles Simonyi Gallery to support its bid for a Space Shuttle Orbiter. Although the museum did not receive the hoped-for orbiter, museum personnel are pleased with the Full Fuselage Trainer. In many ways, King said, the FFT is actually a better exhibit. The FFT affords more opportunities for close interaction than an actual orbiter would, which supports King’s goal to make the Museum of Flight the premiere educational aerospace museum in the nation. Because it does not have wings, the Full Fuselage Trainer also affords more space for secondary exhibits, which will be devoted to the future of spaceflight. The museum has already begun the installation of exhibits that highlight new commercial space ventures from Armadillo Aerospace, Blue Origin, Boeing, Masten Space Systems, Sierra Nevada, Space-X, Virgin Galactic, and XCOR Aerospace, as well as NASA’s potential future manned mission to an asteroid. Meanwhile, on the opposite coast, the Shuttle orbiter Discovery arrived at the National Air and Space Museum’s Udvar-Hazy Center at Dulles Airport. When we were growing up, the typical high school offered a long list of shop courses. There was woodworking, metalshop, auto body and engine shop, ceramics, electrical, carpentry, mechanical drawing…. Today, those courses are mostly gone. In most high schools, they have been replaced by a “technology” department that is limited to a computer lab with, perhaps, if students are lucky a course in Computer Aided Drafting and Design but no way for students to actually build an object after they’ve designed it in CADD. There are many reasons for this. School budgets, liability concerns, and Federal regulation (“No Child Left Behind”) have all played a role. So, too, has the growing emphasis on college preparation. Shop classes have traditionally been viewed as second-class education, for the students who were never going to make it into college. As more and more educators started to embrace the idea of a college education for everyone (a goal that, truthfully, doesn’t make much sense), the relevance of shop classes seemed to be greatly diminished. That is unfortunate, and not only for those students who are simply not equipped for college-level work. Even students who are college-bound can benefit from the skills learned in shop class, and in many professions, those skills are essential. Scientists need the ability to build and maintain experimental equipment. An engineer who sits down at a CADD station to design a new product needs the experience to know that what he’s designing can actually be built. For that reason, we’re pleased to hear about the Makerspace program. Developed by Make magazine editor and publisher Dale Dougherty and Dr. Saul Griffith of Otherlab, the Makerspace program is supported by an award from DARPA’s Manufacturing Experimentation and Outreach (MENTOR) program. The Makerspace program is reinventing the shop class and the computer lab. Modeled after hackerspaces, makerspaces will be places for students to explore their own interests, learn to use tools, and develop their own projects. Makerspaces can be embedded in existing organizations or standalone entities. The Makerspace program will develop modular specifications for low-cost makerspaces in educational settings. The program will develop teacher guides for maker projects, build a collaborative online platform for teachers and students, integrate new tools for Computer Aided Design and Manufacturing, and prototype a low-cost open-source CNC machine for schools. The program’s goal is to have makerspaces in 1000 high schools in three years. We urge teachers, students, parents, and other interested citizens to visit makerspace.org and check it out.